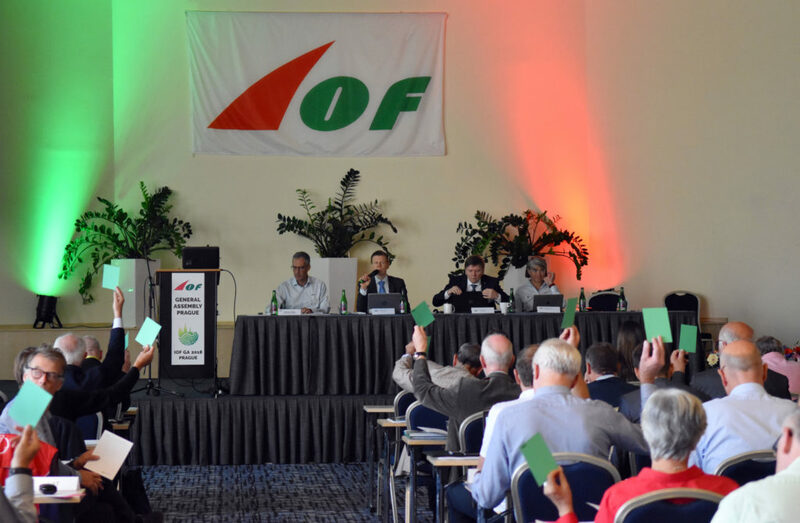 The decisive body of the IOF is the members in General Assembly. A General Assembly may be either Ordinary or Extraordinary. The Ordinary General Assembly shall meet biennially. Each IOF member has the right to send three delegates to a General Assembly. Each member represented at the General Assembly, except for provisional members, has one vote. The next IOF Ordinary General Assembly will take place 2020. *An Extraordinary General Assembly was held in conjunction with the Ordinary General Assembly. **An Extraordinary General Assembly held in conjunction with the Presidents’ Conference.